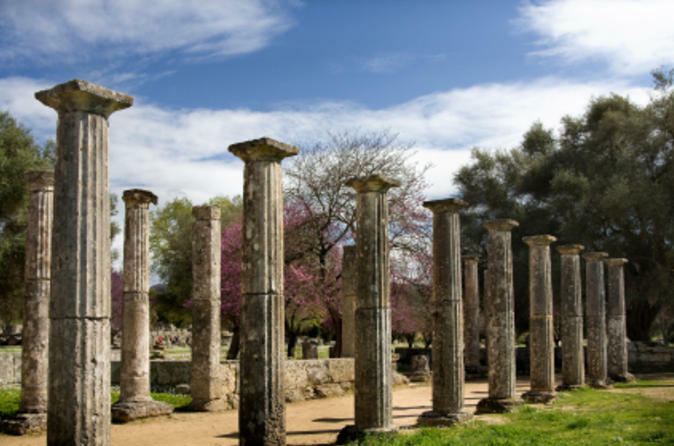 When you make your booking with us for your tour of Ancient Olympia, you can choose the type of tour you want. We are able to customise the tour according to what you want to focus more on. Some people prefer having more time in the Archaeological Museum, while other people enjoy having more time in the Archaeological Site of Ancient Olympia. If you have young children in your group, the tour can be made more interactive and playful to keep the young ones motivated and interested. Children up to 3 years old are not considered tour participants and therefore are not charged. Optionally during your tour you may want to make a short stop at the modern village of Olympia or even a stop at the port of Katakolo. For either choice you will be given time to walk around the streets for shopping for souvenirs of Ancient Olympia or you may want to taste the world famous FRAPPE coffee at one of the local coffee shops. We offer special prices for families and large groups! Just complete the booking form found here and we will contact you within 48 hours!! Thank you for your interest in our Guided Tours and Private Tours of Ancient Olympia and the surrounding area!